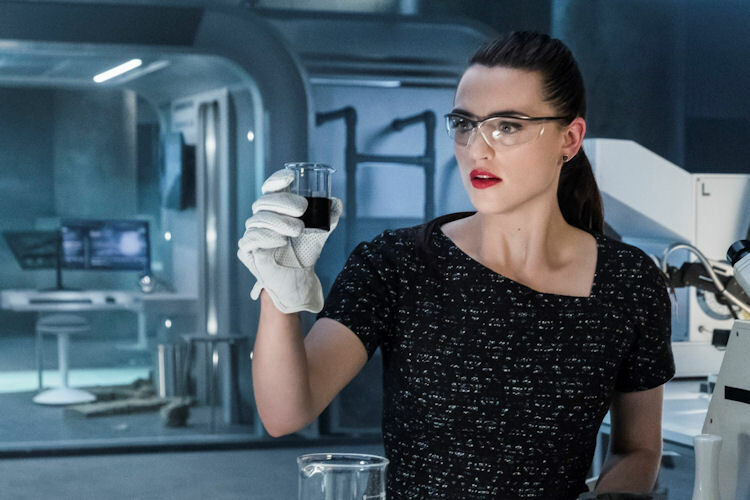 What’s the scoop: We are joined in progress as Kara and Mon-El are in a pitched battle with Reign, as Lena frantically tries to distill a cure from the Rock of Yuda Kal (which looks suspiciously like Joe Dirt‘s “lucky meteor“). As fast as you can say “cold open,” Lena synthesizes a cure, Reign separates from Sam, and a season’s worth of buildup is seemingly resolved before the opening titles of the second-to-last episode. With the latest threat to Earth solved, Kara decides to head back to Argo City at least for a while, maybe forever. When she gets there, Kara is happy-ish, though she quickly learns that she’s not of either world she’s called home. In Argo City she enjoys the peace of mind of not having to be the super-powered protector of National City, but after being gone so long, she has very little in common with the people she grew up with. It doesn’t take long for Kara to escape the banality of day-to-day life in Argo City by immersing herself in a mystery. Meanwhile in B Plot Land: For the second time in as many years, a Berlanti-verse show wades into the gun debate. 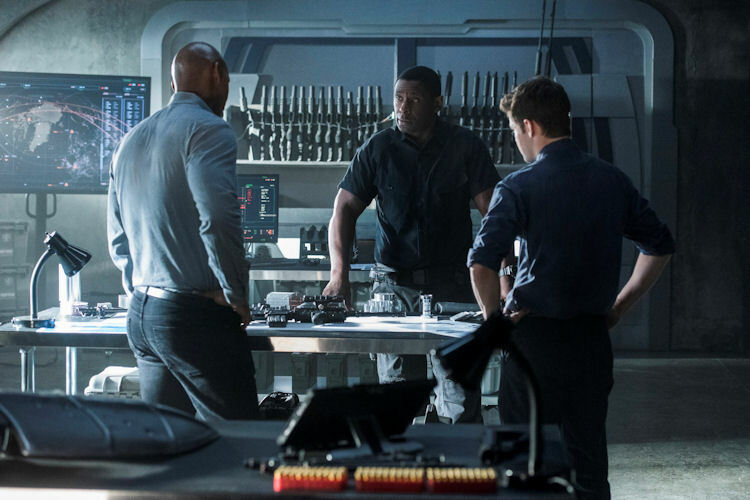 After a would-be robber is discovered to have DEO exclusive weaponry, J’onn and Jimmy figure out that the company that makes the DEO’s rifle also makes a civilian version. The gun company owner lists off a kind of NRA’s greatest hits of reasons to sell and own weapons of war; J’onn is having none of it, demands action and sets out to find this shooter. The team finds out that their target bought his guns legally and he passed all the checks, despite having a manifesto on the internet, and he’s targeting the law firm that fired him for being mentally unstable. Meet Me on the Balcony Botanic Gardens: With the DEO Balcony of Feels out of play, Kara and Mon-El have a moment in the Argo City gardens. It’s another callback to earlier in the season where Kara and Mon-El were in the exact same flowing linen clothes, making out among plants. Mon-El details his current relationship status and it appears a makeout is imminent, but an Argo City Rao cultist and her evil robot kill the mood by nearly killing Kara and Mon-El. What about the action: If you missed the cold open then you missed a lot, unless you find Kara’s childhood BFF’s issues with gazebo placement exciting. Even the gun part of the episode was wrapped up with J’onn; once again, he possesses powers (mind control, shape shifting, phasing) that would prove useful against a would-be mass shooter. He merely (and inexpensively) steps in front of the gun, and talks the guy down. What’s next: The priestess of Rao hijacked Kara’s ship, went back to Earth, and rebuilt the Fortress of Rockitude. The World Killer World Tour is back on! 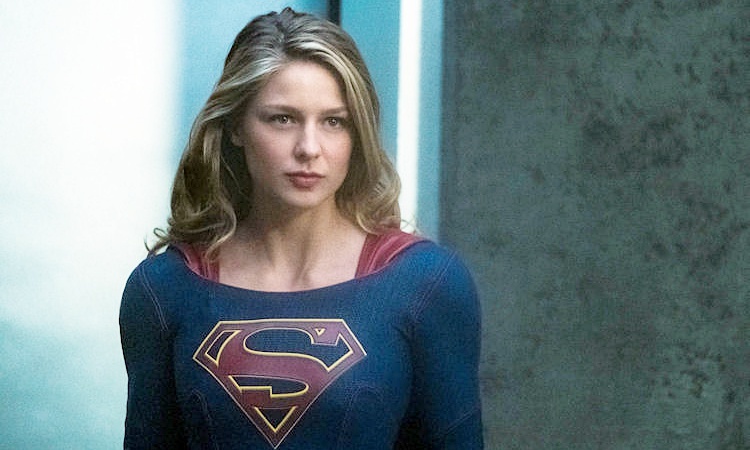 Last impressions: Supergirl heads into its last two episodes of the season in a strange place. Sam and Ruby are reunited (until the priestess shows up). Alex is exploring adoptions. J’onn is preparing his father for his final days of life. 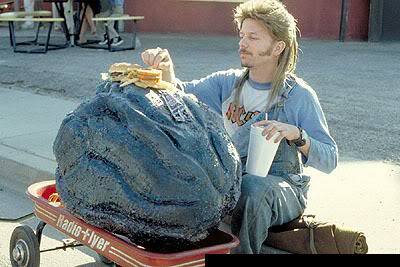 Lena discovers the untapped potential of the black rock. Kara has discovered that she doesn’t fit anywhere, because she wants to be normal on Earth but can’t, and is unable to suppress her heroic nature in Argo City. Then there’s the gun thing. While Arrow‘s foray into addressing guns was undone the very next episode, Supergirl‘s solution to this real-life dilemma will take the show further from reality. J’onn decides that the DEO is going to switch over to non-lethal weapons that Winn will design. Of course, that doesn’t go over well with some agents, but it’s better than forgetting you ever had the discussion in the next episode. This hour was a jumbled mess of loose plot and Season 4 setup. It’s hard to tell which is which, but easy to see the end is undermining what has been an otherwise solid season.